Jack of two trades, and master of both! 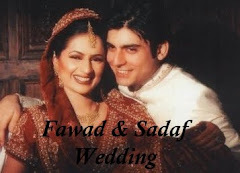 - this is what comes to mind when one thinks of multi talented singer and actor Fawad Khan. 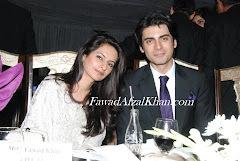 Best of all, Fawad is as down to earth as they get. Fame and fortune haven't been able to get the better of him and he doesn't intend on letting them either! 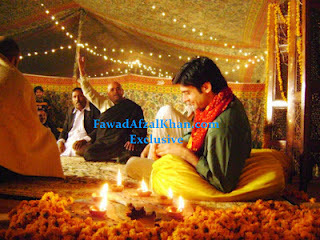 Within the film and music industry, he's known as one of the nicest people to work with and extremely hard working. 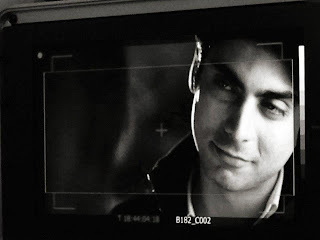 Conducting the following fun interview was a great insight into Fawad's world. Read on and you'll understand why. 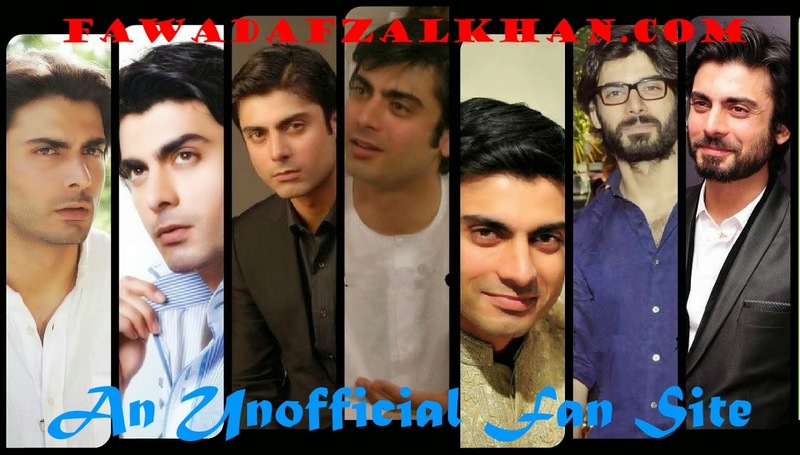 What, in your opinion is different in the Fawad Khan of EP and the Fawad Khan who is a movie star? Nothing really, I guess. That question would be better answered if and when I do a couple more movies - which I do intend to - of the same caliber. Other than that, I think it has added to my experience. I have been very lucky in being able to work with the best of the best of the industry in whatever Iâ€™ve done uptil now. So basically Iâ€™ve done a little in everything that comes under the media bracket of Pakistan now. Tell us a little bit about how you landed the role? Well, a friend of mine, Bilal Lashari, was assisting Shoaib Mansoor (and is a very talented up and coming director in our industry) at the time the casting was being finalized. They had everything finalized but for some odd reason I think they just wanted to check out more options. So I met Mr. Shoaib at his office and I guess my being a little overweight made me unsuitable for the consideration of the role. After a couple of months, when Ali Zafar backed out, I got another call from them and they asked me to come down again. By then I had lost quite a bit of weight and they thought it would work out fine so things just took off from there. What was your initial reaction to being offered a role in a â€˜Lollywoodâ€™ film? I felt honored to have been offered a role by someone who had been termed as The Guru of the creative side of the media and music scene in Pakistan. Can you actually relate to the role you played? Well, to some extent, I think yes. But then again, everyone can, at least anyone who may have undergone some sort of transition or at least faced confusion when tallying their concepts of practicality with the Word of God, which frankly speaking has been completely erased from our lives at the moment or at least the conscious reference to it. More importantly cultural trends have been infused into our religious beliefs so things get even more difficult when you try to understand a uniform and universal belief, which isnâ€™t so uniform due to the existence of sects. 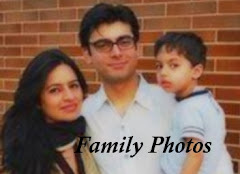 How much did you have to prepare for it if it was in contrast to THE Fawad Khan? What do you think makes a good actor? Do you consider yourself to be one? I got the script in pieces. When I was first approached with the role I didnâ€™t know much about the intricacies and details. I got to know with time. There are some scenes which are completely different to the original scenes or modified versions of the scenes in the present version. So I think I didnâ€™t get much of a chance to prepare. I just mainly went with what the director had to tell me and intuition. I think the definition of a good actor is he who can provoke you â€“ positively or negatively. If you manage to invite the attention of the audience to what youâ€™re saying then youâ€™re on the right track. I would never even consider judging myself at this point because in order to become something big, I think that initially itâ€™s best to get feedback from others. 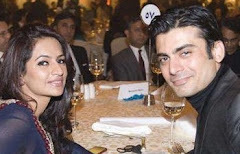 What is your overall opinion about the desi film industry? What did you expect and were your expectations met? Not very bright at the moment. The industry had fallen quite a bit but this film has become a revival of cinema by instigating others to enter the arena and push the industry into a modern era, to a level at which you can compete with the other giants around the globe. I think I got what I expected. People have liked my performance as I gather from the comments that I get now and then. I guess at this moment thatâ€™s enough for me. How is Shoaib Mansoor to work with? A perfectionist and difficult to please but then again thatâ€™s his way of working. Judging from what the products turn out to be, that may as well be termed his forte. As far as his behavior goes, he is very kind and understanding. How did you bond with the rest of the cast, particularly the cinema giants like Naseeruddin Shah and Shan? The courtroom sequence had already been shot when I came onboard so my scenes were done solo. When I did it there was no Naseeruddin Shah, no audience, no lawyers and no judges. With Shaan, things were great. He is a really nice guy and a great performer. We all know that KKL is a blockbuster movie. Everyone who has gone to see it is singing praises. There is another group, however, that sees things differently. Why do you think that is? If youâ€™re referring to the other school of thought when it comes to the subject then I think it's just a matter of opinion and they are entitled to it. Other than that, I donâ€™t think that Iâ€™ve come across anyone else who has held a bad opinion about the film. How effective is our media in promoting our local music and film industries? Not very good but with this film and its music promotion, (which was huge and brilliantly planned), I think there is massive potential that can be tapped if the media giants in this country want to. Will you be appearing in any more movies and what would you be looking for before signing on the dotted line: the role or the dough? Would love to if any other deals pop up. Both I guess but if you talk of preference then the latter can be overlooked to some extent if the role is that interesting. Have you thought about composing for films? Have you been made any such offers? Are you planning on taking them? What can we expect? I would love to because the drama of soundtracks really fascinates me and that is what Iâ€™m more inclined towards doing. No offers as of yet. But Iâ€™m generally working on more for the advertising, music and TV scene through my studio because thatâ€™s what is mainly happening in this country at the moment. What are you up to these days? Any projects in the pipeline youâ€™d like our readers to know about? Just running a studio with two friends and working on my own compositions at the moment. If the readers are so inclined on knowing, then I would rather keep it a surprise. What do you enjoy more: singing/composing or acting? Do you miss performing in front of a live audience? When can we expect to see you in action again? Composing and acting. Yes, I do miss performing in front of a live audience to an extent. There was a high about it. Maybe, youâ€™ll see me very soon. A lot of your peers are heading over across the border to claim their 15 minutes of international fame. Have you been approached and are you planning on doing so? I donâ€™t blame them because things run pretty slow around here and arenâ€™t normally very rewarding. Iâ€™d like to do something for my country and my people first but if something interesting pops up or if I have something to pitch that doesnâ€™t work around here then â€“ sure. Can we expect another album from EP? Or maybe a solo project? No, not really. To the other half of the question â€“ no comments as of yet. After doing some serious acting in KKL, what did it feel like going back on screen as part of a fun ad? It was great. It was definitely something different because I donâ€™t see myself, contrary to the views of people that I often get feedback from, as a chocolate hero with a fun side. Secondly, when it comes to dancing, I have two left feet. It was definitely an exhausting experience yet exhilarating at the same time. I guess mainly because I got to work with Asim and Farooq again, with whom I did my first ever ad with. Why did you agree to do the telecommunications ad? I was approached by the company and Asim and they told me the whole concept. I liked it and felt very comfortable with both the parties. I guess things just built from thereon. It took about a week. We would be working from early in the morning, like around 6 a.m. to really late at night every day. This time frame included rehearsals and set changes as well so effectively I think we managed to pull the whole thing off in around about 5 days. If you ask me, I would call that quite a feat. Who directed the ad and how did you like working with him/her? Asim Raza. Iâ€™ve worked with Asim and Farooq on quite a few ads before this. I loved every minute of it and because theyâ€™re really good at what they do and also because weâ€™ve gotten to know each other over the years, itâ€™s always a pleasure to work with them. Another reason would also be that theyâ€™ve always made me feel important and always extend the best treatment. I guess that automatically makes you fond of such people and very few people in this industry possess that quality. Overall, Asimâ€™s whole team is wonderful. Theyâ€™re great people to work with. When you see the ad on TV, are you happy with how it turned out? That goes without asking. Obviously anyone would feel thrilled to see even a glimpse of themselves in something that theyâ€™ve worked on. However, the true success of the campaign shows when people come up to you and say, "That was really something. We loved every minute of it," which Iâ€™ve had the chance to hear from as many people Iâ€™ve met and who have seen it. Were you singing the jingle in the ad? No. I believe it was done by Shafqat Amanat Ali Khan. I would rather discuss things once theyâ€™ve been executed and are out of the pipeline because it tends to get really embarrassing when you advertise something and it doesnâ€™t materialize. With that said, I am giving serious thought to getting back into the music scene by not just running my studio but also putting an album out there. Letâ€™s see how things fare on that front.